Still from Rosa Barba’s Outwardly from Earth’s Center, 2007, 16 mm transferred to video, color and black-and-white, sound, 22 minutes. 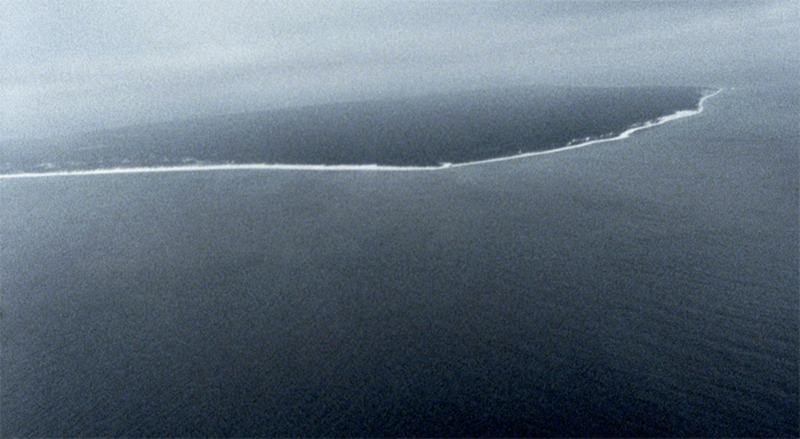 IN ROSA BARBA’S enigmatic twenty-two-minute film Outwardly from Earth’s Center (2007), the inhabi­tants of a remote Swedish island in the Baltic Sea attempt to halt their home’s steady drift northward. The all-but-inevitable collision with the mainland at some indeterminate point in the future will be catastrophic indeed, yet there will be nothing sudden or unexpected about it. As the island’s archivistone of a number of “experts” appearing in the filmasserts, the earliest mentions of the island’s drift can be traced to the 1630s.